Hay Festival has announced plans for the biggest ever Hay Festival Winter Weekend, 23 – 26 November 2017, including a new 400-seater venue and extended programming. 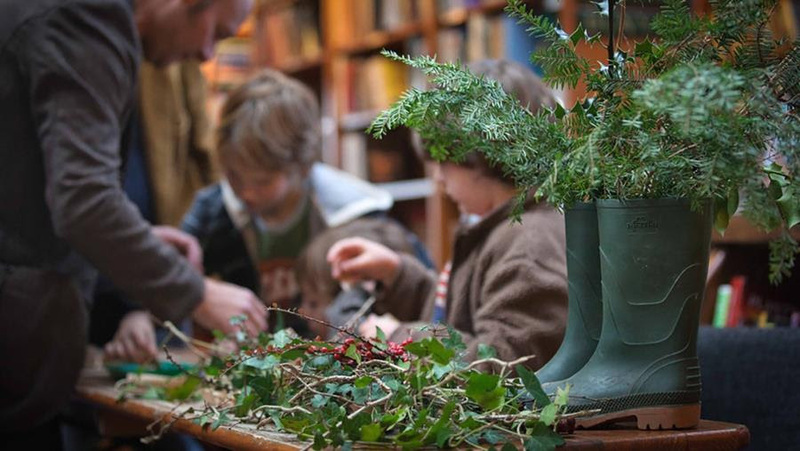 Hay Festival Winter Weekend is a chance to experience Hay as never before. There will be great writers, inspiring thinkers, and a thrilling bazaar of local crafts, foods and curiosities, wrapped in festive lights and glistening with winter cheer. Join us. A number of spring and summer visitors to Hay ask what we do in the winter, presumably thinking we batten down the hatches, light the fire and close our doors. This couldn't be further from the truth. Hay is the market town that never sleeps and especially not at Christmas! This magical little place is extremely fortunate to have a seasonal cultural/literary explosion from Hay Festival not forgetting the festive markets and events encompassing the best of our local growers, producers, retailers, artists and more. Join us and even stay for a while, there are inns, hotels, BnBs, restaurants, bars aplenty and, when the festive-head needs to be cleared, take a brisk walk or bike-ride on the snow-capped Black Mountains or through the Wye Valley. Following on from the 30th Hay Festival in Wales (25 May – 5 June), Querétaro, Mexico (7 – 10 September), Segovia, Spain (16 – 24 September), Aarhus, Denmark (26 – 29 October), and Arequipa Peru (9 - 12 November), Hay Festival Winter Weekend is the festival’s final edition of 2017.